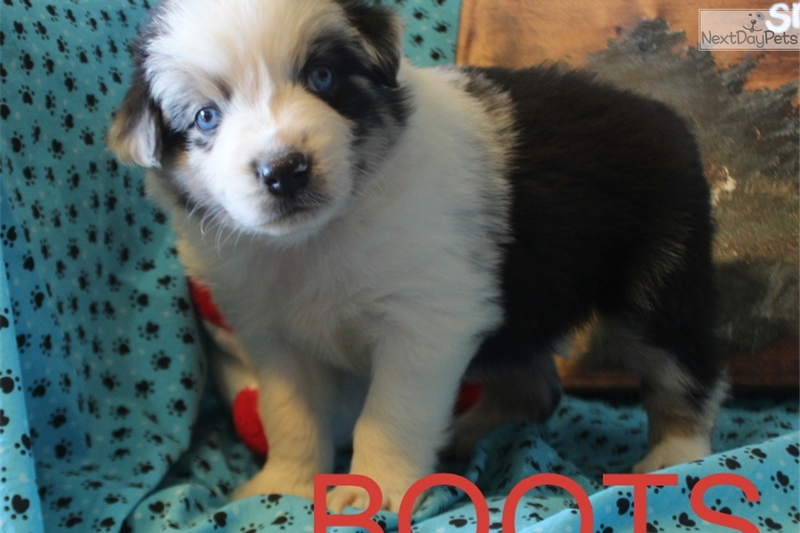 This Miniature Australian Shepherd nicknamed Boots sold and went to a new family. 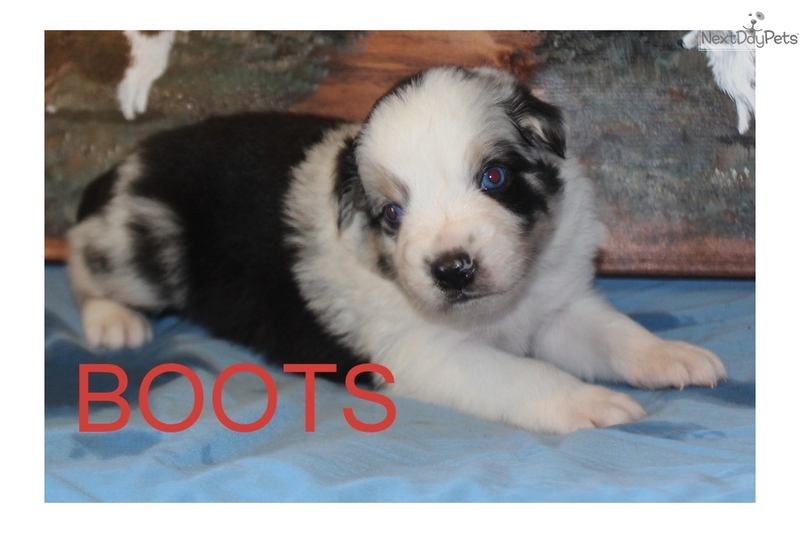 Boots is a Blue Merle male Miniature Australian Shepherd. 2 Blue eyes (could be a bigger Miniature). They are ASDR registered. Born May 7th and should be ready for his FUREVER home July 2nd. 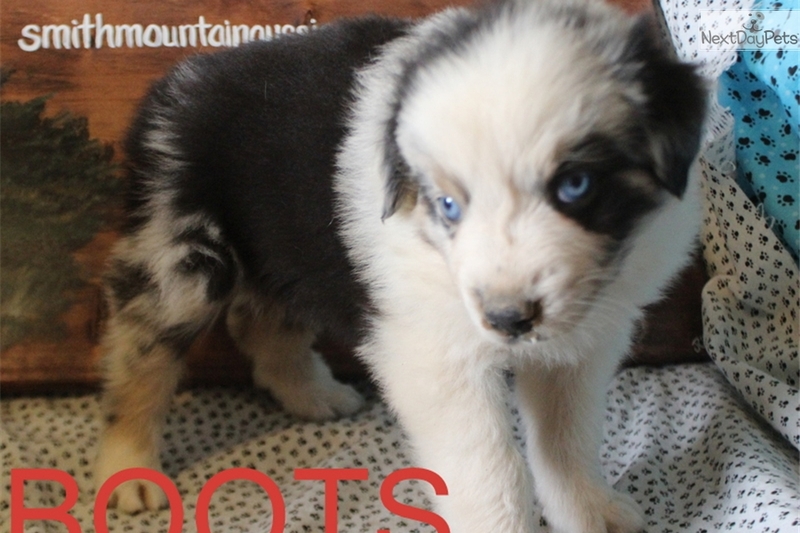 Mom is a Blue Merle with 2 blue eyes. Dad is a Black tri with 2 blue eye. (He got bigger then he should of) All our puppies are given 2 regular vaccination, 1 parvo vaccination, regular worming and other meds that take care of other parasites. We hold and play with our puppies daily. 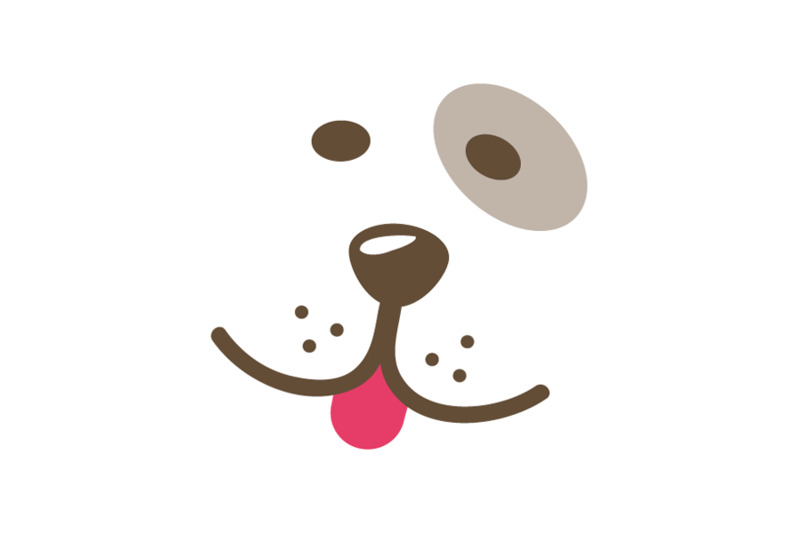 These little wiggle butts will worm their way right into your heart. We do ship.